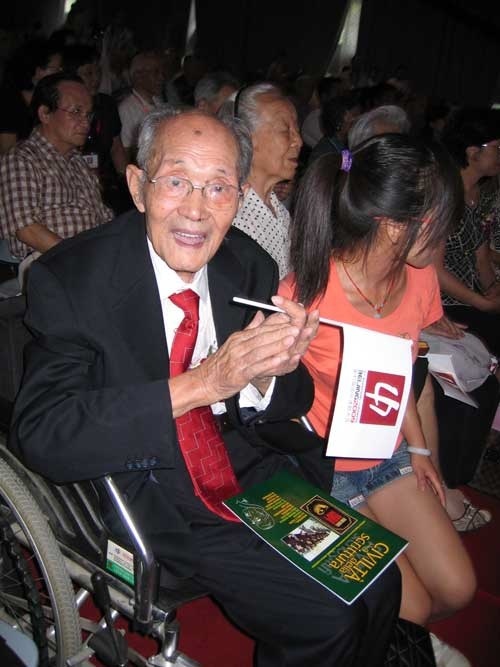 I’m so sad to tell you that Mr. Tang Yawei, the Intersteno honorary life gainer, the inventor of Chinese steno machine, the founder of Chinese stenography, the pre-president of Chinese stenography organization has passed away at Beijing time 12:52, on Dec.18th.2012. He died at the age of 97. The memorial meeting will be held on Beijing time Dec.24th.2012 at Beijing Ba Bao Mountain（it is the place memorized for the Chinese famous leader.eg. Chairman Mao Zedong etc. ） in China. Many of you had the opportunity to meet him during the memorable Intersteno Congress in Beijing, and we have very much appreciated his fine approach with us.